To hear George’s story read by George Vane Thomson; please press play on the audio file. George Ford was born at Ross Farm, Errol on 15th January 1897 to Robert and Jessie Ford, who had married in Scone. He was brought up by his grandparents, Alexander and Jane MacKenzie of Scones, Lethendy. He was educated at Guildtown Public School. Upon finishing his education, he was employed as a ploughman in the parishes of Madderty and Aucterarder. 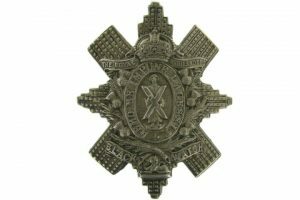 In June 1915, he enlisted in the 6th Bn Black Watch, which was training at Bridge of Earn, and he was drafted to France early in 1916. Private George Ford met his death at High Wood on the Somme on the 30th July 1916. He was 19 years old. He is buried in Caterpiller Valley British Cemetery, Longueval, in Plot 9, Row C, Grave 1. George was awarded the Victory and British War medals.